Soil moisture—the water contained within and between soil particles—is an important part of Earth’s water cycle. It is essential for plant life, and it influences weather and climate. 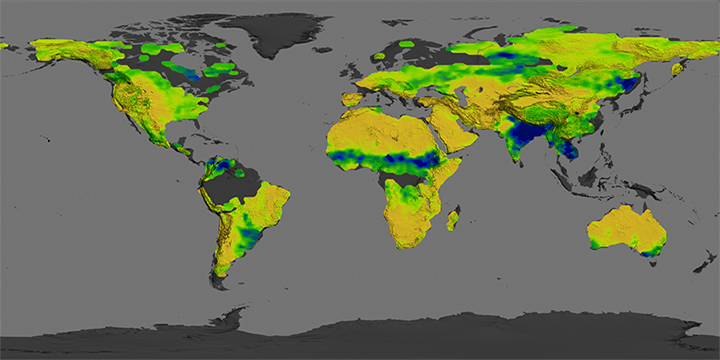 Acquiring global observations of this moisture and how it fluctuates with seasons and weather events could help drought monitoring, climate models, and flood prediction. It also could inform water management decisions and aid in predictions of agricultural productivity. With that in mind, scientists have been working hard to develop remote sensing tools to measure soil moisture on a uniform and globally consistent scale. 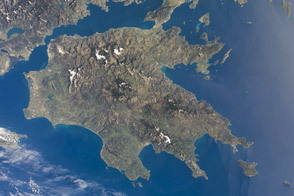 Since 2009, the European Space Agency has been operating the Soil Moisture and Ocean Salinity (SMOS) satellite, and later this year NASA will launch the Soil Moisture Active Passive (SMAP) satellite. In between, scientists have found a way to supplement those measurements with data from a satellite that was intended for something else. 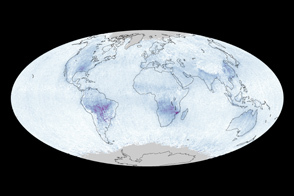 The map above shows moisture in the top 5 centimeters (2 inches) of soil as observed by NASA’s Aquarius instrument in August 2013. Aquarius was launched in 2011 aboard Argentina’s SatÃ©lite de Aplicaciones CientÃ­ficas (SAC-D) with the primary purpose of studying the salt content of ocean surface waters. Aquarius has had great success measuring salinity with its microwave radiometer, and researchers led by U.S. Department of Agriculture (USDA) figured out that they could retrieve soil moisture data as well. Soil naturally radiates microwaves, and the Aquarius sensor can detect the microwave signal that subtly varies with changes in the wetness of the soil. Aquarius takes eight days to complete each worldwide survey, though there are some limitations. 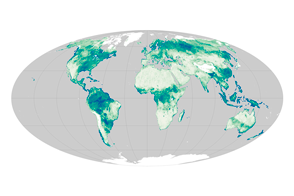 The instrument’s 100-kilometer-wide (60-mile) footprint prevents it from covering small islands, coastlines, and narrow landmasses such as Baja California or Italy. Also, the dense tree canopy of the Amazon rainforest distorts the microwave signal, and snow and ice block it altogether. 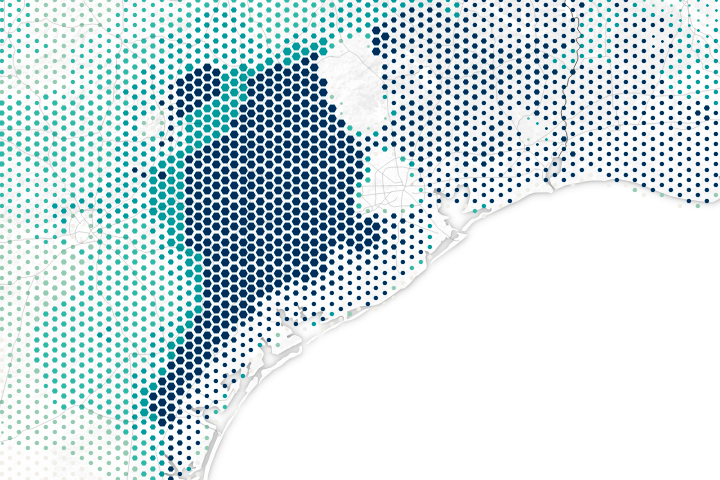 The areas where the microwave signals are difficult to interpret are shown in dark gray in the map above. 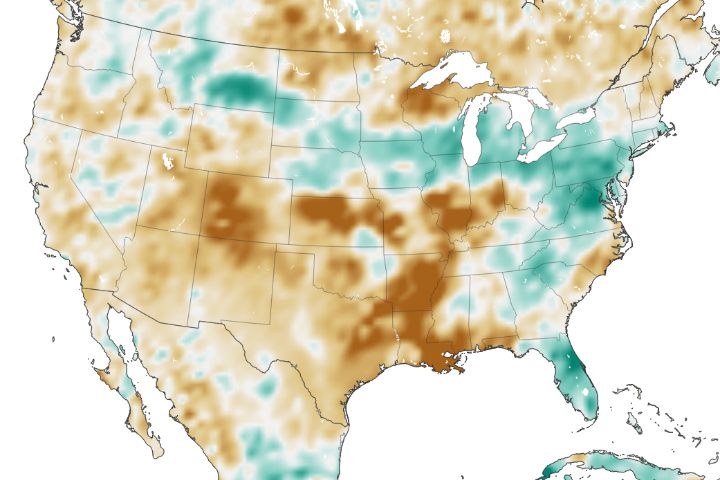 “There's a lot of precipitation data in the U.S. and Europe, but in other countries it gets pretty sparse,” said Tom Jackson, a hydrologist with USDA who led the Aquarius soil moisture effort. “By using soil moisture readings, we can better monitor the condition of soils." USDA and other agencies use this information to improve crop forecasts, which helps farmers and markets adjust prices according to worldwide production and allows relief agencies to plan for food emergencies. NASA image by Trent Schindler, NASA Goddard Scientific Visualization Studio. Caption adapted by Mike Carlowicz from a story by Maria-Jose Vinas, NASA Earth Science News Team. The Aquarius instrument was designed to study ocean salinity, but it is also making an important contribution to studies of the water cycle on land.